Population and employment forecasts underpin government planning and policies for everything from economic development to transportation. These forecasts are based on assumptions about immigration, migration, demographic change, mobility within a region, and trends in the economy and in lifestyles. Not only is it important to know how many people will live in a city-region, governments also need to know where growth will occur, so that investment can be directed to those areas. 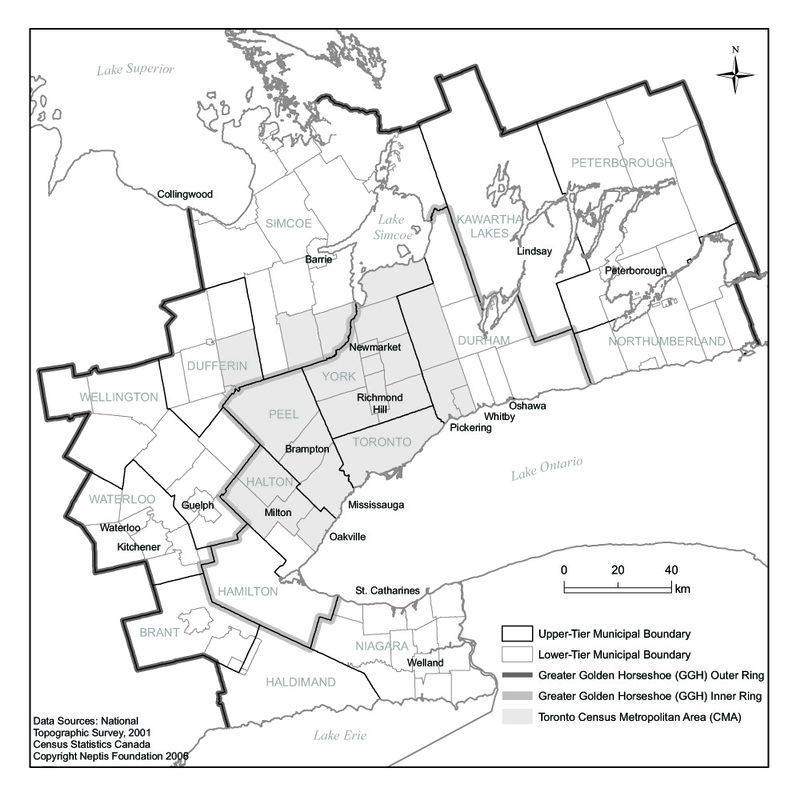 The Province of Ontario, in establishing a growth plan for the Greater Golden Horseshoe (the area surrounding the west end of Lake Ontario), needs accurate forecasts, not only for population and employment, but also for matters such as household formation and the type of dwellings that those households are likely to choose. This research report offers a series of forecasts, prepared in light of economic trends that may affect population growth and household formation in the Greater Golden Horseshoe over the long term. It also assesses the prospects for employment growth, considering that the aging of the population is likely to result in reduced participation in the labour force. The results are then compared to two other sets of projections for population growth, housing demand, and employment growth, one by Hemson Consulting in the Growth Outlook for the Greater Golden Horseshoe (January 2005), commissioned by the Province of Ontario, and the other by the IBI Group in the Toronto-related Region Futures Study (2003), commissioned by the Neptis Foundation. Both of these studies projected population and employment growth to 2031.